﻿﻿ More than 750 area high-school band students took the field for a special halftime show during the annual Mass Band Day event on Saturday, Sept. 8. This year’s event included students from Joplin, Webb City, Diamond, Jasper, Seneca, Exeter, Miller, East Newton, Aurora, Pleasant Hope, Frontenac and Galena. 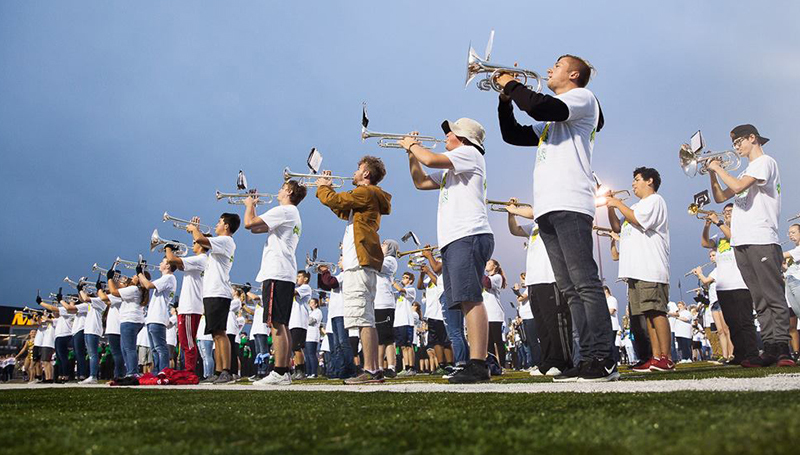 They arrived at Fred Hughes Stadium in the early afternoon for a clinic and rehearsal with the MSSU Lion Pride Marching Band, followed by games and activities.